t*rexes and tiaras: Sunday Shoes 124: Red or Dead Starship..
Red or Dead are a brand which seem to have a special little place in my heart. I remember (long before I discovered and fell in love with Irregular Choice) purchasing a pair of Red or Dead Mary Jane heels to go to my school prom. They matched my dress rather perfectly, and were like nothing I'd ever seen before - a kind of brocade burgundy print over a pale pink background, with metallic plum heels and straps. 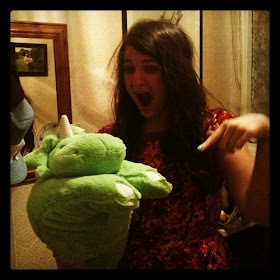 They were wonderful, and I wish I'd kept them, if only for the lovely nostalgic appeal they hold. Anyhow, they're a brand which has always been on my radar, but of whom I don't seem to own very much. In fact, other than a pair of tights and these Olivia heels, I can't think of anything else I own from them (although I'm desperate for a reason to buy this). 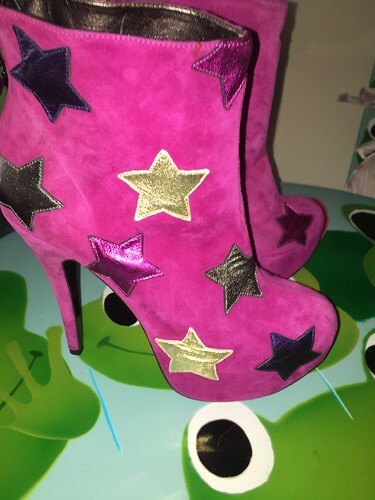 Anyhow, when I saw these boots for sale online, I could not resist them. 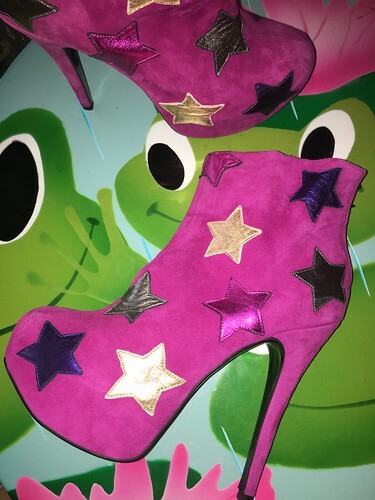 These are the Starship boots, which were apparently exclusive to Schuh when they were released and I think they're just wonderful. 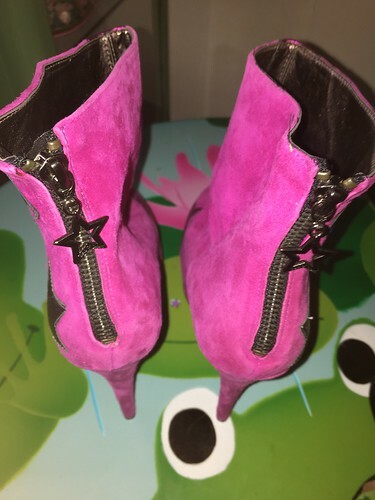 A lovely, high stiletto heeled boot, covered in leather stars and finished with a zip at the back (eep, I have a bit of a fear of those, but it's worth looking past that). I love the little star detail on the zip pull and was super pleased to discover that these arrived with me in brand new condition (for a fraction of their original cost). I frankly cannot wait to wear them! I love Red or Dead! 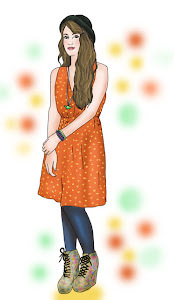 I remember seeing a pair of Floral Mary Janes from there in Mizz magazine as a teenager and I went all the way to Covent Garden on my own to go and buy them!!! These are brilliant!!! I absolutely love Red or Dead. These are amazing!